The visual effects of rain are complex. Rain produces sharp intensity changes in images and videos that can severely impair the performance of outdoor vision systems. In this paper, we provide a comprehensive analysis of the visual effects of rain and the various factors that affect it. 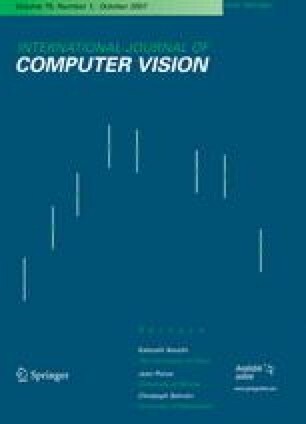 Based on this analysis, we develop efficient algorithms for handling rain in computer vision as well as for photorealistic rendering of rain in computer graphics. We first develop a photometric model that describes the intensities produced by individual rain streaks and a dynamic model that captures the spatio-temporal properties of rain. Together, these models describe the complete visual appearance of rain. Using these models, we develop a simple and effective post-processing algorithm for detection and removal of rain from videos. We show that our algorithm can distinguish rain from complex motion of scene objects and other time-varying textures. We then extend our analysis by studying how various factors such as camera parameters, rain properties and scene brightness affect the appearance of rain. We show that the unique physical properties of rain—its small size, high velocity and spatial distribution—makes its visibility depend strongly on camera parameters. This dependence is used to reduce the visibility of rain during image acquisition by judiciously selecting camera parameters. Conversely, camera parameters can also be chosen to enhance the visibility of rain. This ability can be used to develop an inexpensive and portable camera-based rain gauge that provides instantaneous rain-rate measurements. Finally, we develop a rain streak appearance model that accounts for the rapid shape distortions (i.e. oscillations) that a raindrop undergoes as it falls. We show that modeling these distortions allows us to faithfully render the complex intensity patterns that are visible in the case of raindrops that are close to the camera. Website: Submitted rain videos. http://www.cs.columbia.edu/CAVE/ project. 2006.